Many people tend to dislike porridge because they find it bland and tasteless. ...Yeah, I don't get them. Porridge is actually one of my favorite dishes because it's so fun and easy to make, plus it makes for a very hearty and satisfying meal! I'm not gonna lie though. In my 18 years of life, porridge has brought me down a couple of times but only when it was served plain, with no fruit whatsoever to give it some color -- this happened a lot when I was a kid! But when I started to learn how to cook on my own, I discovered the things that should always be present in my porridge bowl. And I wrote them down below! cereal - because, duh. I don't think many people know that porridge isn't all just oatmeal. 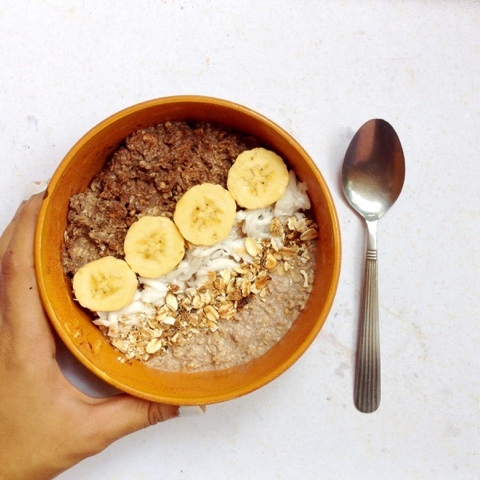 Any kind of cereal like groats, corn, and rice can be used! fruits - From crunchy apples and pears to soft and creamy bananas and papaya. Berries are probably the most popular and ideal fruit toppings as they are really juicy, naturally sweet and are filled with vitamins and antioxidants that will make you feel vibrant and refreshed in the morning! nuts - what's a breakfast without healthy fats? Any kind of nut would be fine really, but almonds and walnuts are my fave when it comes to porridge as they are crunchier than the others -- great with the creaminess of the porridge itself! seeds - I believe the healthiest seeds anyone can use are chia because they are jam-packed with protein, fiber and Omega-3 fatty acids which are fats that are important for brain health. However, if you don't have these, you can go for flax, sunflower, or pumpkin seeds. sweetener - I think the reason why many people don't like porridge is because they fail to put sweeteners in them. Drizzle yours with some maple syrup or agave, or add a couple tablespoons of coconut sugar. A bit of sweetness makes a huge difference! milk - ditch the full-cream and go plant-based instead. You may be surprised by the variety of non-dairy milks that you can choose for your breakfast. For porridge, I best go with almond milk. The cereal is already quite heavy so I don't think there's much need for heavy milk. But if your personally prefer other milks, knock yourself out! 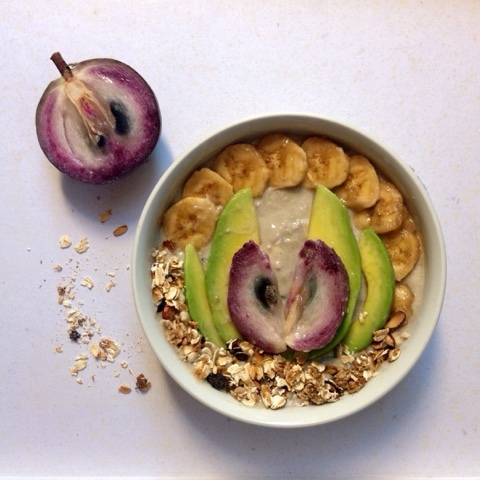 additional/optional toppings - if you think your porridge is still incomplete, you always have the luxury of adding more toppings to it -- why I find it so fun! 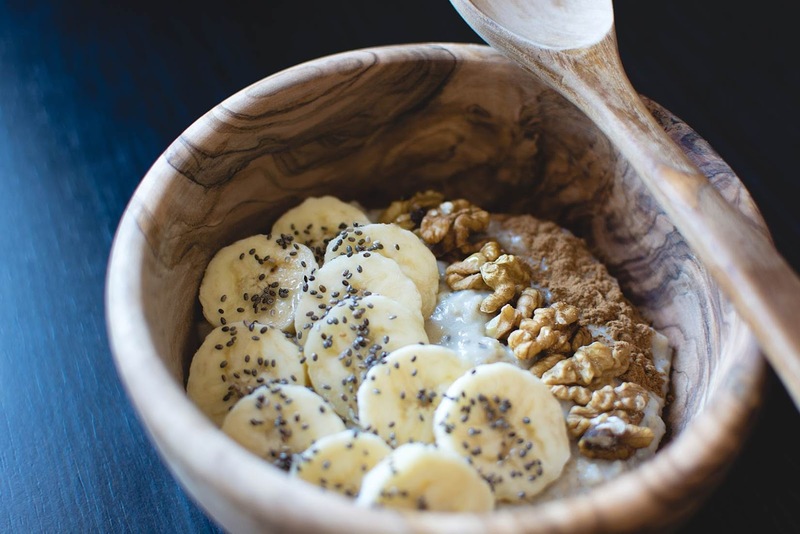 Superfoods are starting to become more and more popular these days and porridge is just one you can eat them with! Goji berries, mulberries, cacao nibs, and the like. Nut butters are also great for more protein and creaminess. The one topping I tend to add to literally anything though is desiccated coconut -- maybe you'd like that on your bowl as well! Here's to warm, toasty mornings!